News > Telecom Group > How Much Would 2 Full Days Of Downtime Cost Your Company? 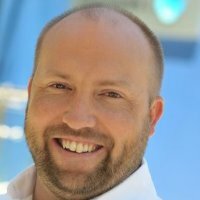 How Much Would 2 Full Days Of Downtime Cost Your Company? A Service Level Agreement (SLA) is an agreement in which hosting providers guarantee their service will be available for a period of time, measured as a percentage. For example, it might be 99.9%, 99.95%, or 99.98% up-time guaranteed. The exact percentage varies depending on the service that you buy in order to gauge how much do days of downtime cost your company. The industry standard in Australia is generally 99.95% up-time, meaning that in a worst case scenario on a monthly guarantee, your service would be unavailable for 21 minutes per month. Various businesses in the industry have different details behind their SLA guarantee, e.g. Amazon Web Services measures uptime yearly, not monthly. That equates to two full days of downtime without breaching their SLA. Additionally, many companies will proclaim this headline availability rate while having no genuine financial penalty to back it up. Macquarie Telecom measures uptime guarantees on a monthly basis, and along with these, we offer a concrete financial penalty that we will pay if downtime exceeds 22 minutes in any given month. That is a real testament to how much confidence a service provider has in their business. We have a multitude of solutions that we sell to our customers in the form of use cases and we don’t distinguish between these as an infrastructure only service or a telecom service – they are a combination of both. We are confident that we can provide the necessary connectivity to your offices along with all the computer or server infrastructure needed to run your applications. It is a holistic offering around the breadth of our services. We can cater for everything needed in terms of infrastructure. See some of the Private Cloud Hosting solutions that are available with Macquarie Telecom. Our point of difference in the market is centred on our dual data centre solutions. Disasters can often come in forms that we don’t expect. For example, in Melbourne a couple of years ago, there was a heat wave of over 40 degrees Celsius for four days, which caused the power grid to blow out and a power outage to occur throughout the entire city. Disasters of this nature can be much broader than contingency plans for a building that would immediately come to mind. 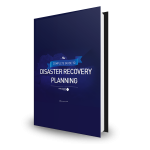 Download our Disaster Recovery Plan to ensure you are prepared for any man made or natural disasters – it is critical that your company be properly prepared! What is the cloud, anyway?